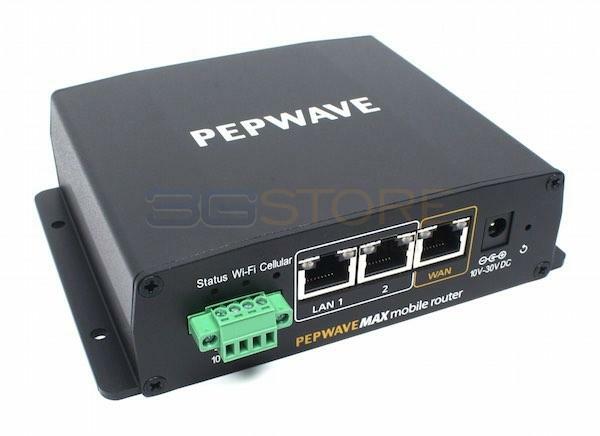 Congrats to Bruce N. of Shallotte, North Carolina who just won a $25.00 Restaurant.com gift code for writing a review for Pepwave MAX BR1 Router With Embedded US/Canada/South America 3G/4G Modem Hardware Revision 2 at 3Gstore.com! Every week we randomly pick one product review from the previous week and award the writer a $25.00 gift code. We appreciate ALL the reviews our customers write, whether they are positive or negative - honest reviews like Bruce N.\'s help other customers decide if the product is right for them. After you purchase a product from 3Gstore.com, we encourage you to log in and 3Gstore.com and leave a review letting people know how the product worked for you - you'll be helping others, and you'll automatically be entered to win a restaurant.com gift code!. I am definitely not a computer whiz. The Peplink system was extremely easy to set up and get working. I am very happy with the results, and the internet speed is much faster than my Verizon jetpack. I live in a "dead zone" and the jetpack was just eating up my bandwidth every month. With the Peplink, my problems are gone. Somewhat pricey, but well worth it to me, in terms of frustration and it made my computer work like it should. Thanks to 3g store!